Platelet-Rich Plasma (PRP) is a non-surgical, natural therapy to stimulate hair regrowth, best used to treat thinning hair by slowing down or stopping the progression of hair loss. PRP therapy can treat both male and female pattern baldness as it encourages the growth of existing hair follicles, naturally simulating hair growth. Your hair will appear fuller and healthier without resorting to invasive surgical procedures. Hair loss can be greatly distressing and have a negative impact on your self-esteem. The PRP treatment does more than provide you with a naturally growing head of hair; it can help restore your self-esteem and confidence. Hair loss is generally caused by a lack of cell renewal in the scalp, making PRP the ideal treatment as it naturally stimulates the production of healthy new cells. PRP provides safe, effective and reliable results and has a rapid recovery period. Only a small amount of blood is taken, usually from the arm, as in a routine blood test, using local anesthesia, so you experience very minimal discomfort. PRP hair treatment provides effective, lasting results with a high success rate. There is no downtime for PRP therapy, so you can immediately return to your normal daily routine. The results can usually be seen two to three months post-treatment. Depending on the type and extent of your hair loss, PRP hair restoration therapy is usually recommended as a course of 3 to 6 treatments, spaced 4 to 6 weeks apart. Then, depending on your individual needs, a maintenance session once a year is usually recommended. 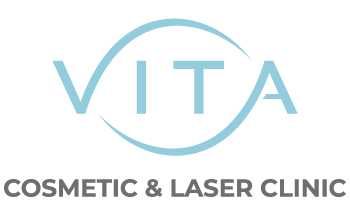 Vita Cosmetic & Laser Clinic offers PRP for hair loss restoration. Contact us us at 416-639-1882 to schedule a free consultation.